Calcium, vitamin D, and fats all work together to help your toddler reach optimal brain growth, give your toddler healthy bones and skin and more. Fats help process vitamin D, which is a fat-soluble vitamin, and in turn, it helps the body use calcium. For parents who choose not to feed their families dairy products or who have children with a milk allergy, getting all the nutrients that milk provides — like calcium, vitamin D and fats — won't be as easy as getting your toddler to drink a couple of cups of milk each day. But it's not impossible either. Listed below are foods that will help your child get the required amounts of these nutrients each day. Your toddler needs 500 milligrams of calcium per day. Here are some nondairy foods that are rich in calcium. Check labels on foods you already buy and choose those that have higher calcium levels. Vitamin C helps the body absorb calcium so combining foods rich in this vitamin with the foods above can give your toddler a calcium boost. 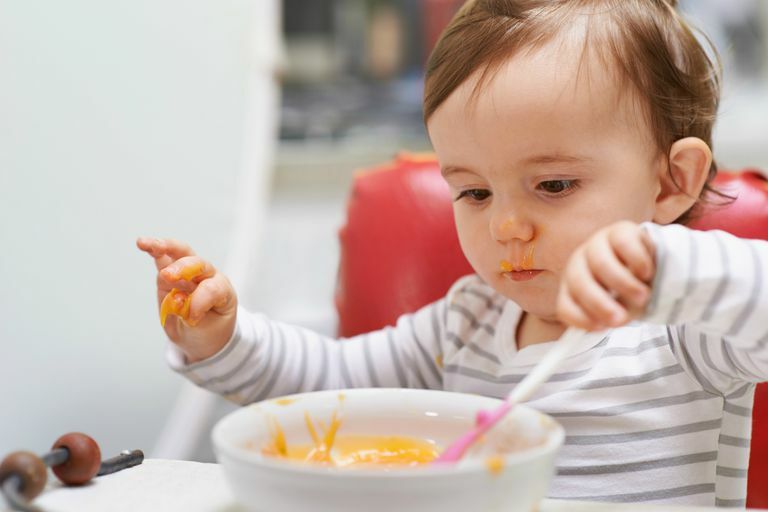 And remember, even if your toddler shies away from green, leafy vegetables, you can always put a little spinach or kale in soup or spaghetti sauce a few minutes before serving. This makes it much more palatable — so much so, they hardly notice they're eating something they refused the night before. Also, make sure your toddler is getting about 5-30 minutes of sun exposure per week (all year if you live in the South or during summer months if you live up North) so his body can make its own vitamin D.
Some foods are definitely better choices than others. Almond butter, for example, is rich in good fat and calcium. Salmon is rich in vitamin D, calcium and has healthier fats. When you're choosing food, look for the most nutrient-dense varieties you can find so that your toddler isn't getting too many calories.